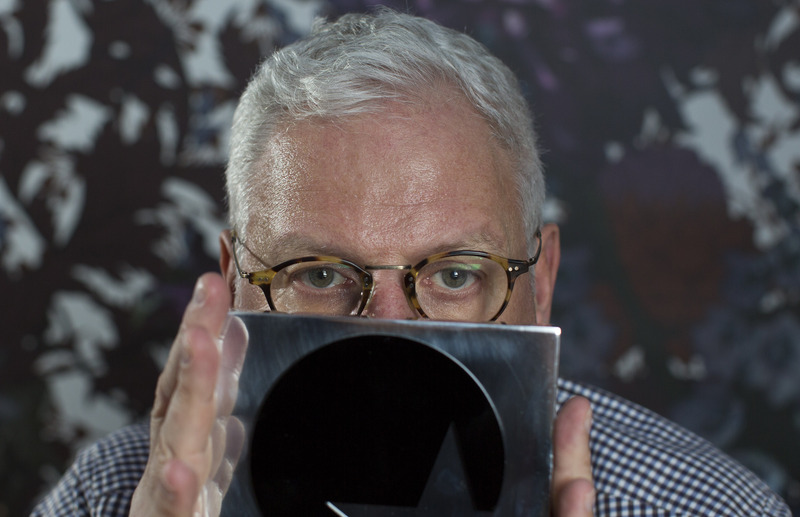 Ted Baker CEO Ray Kelvin obscures his face as he poses for a portrait at his company offices in London March 12, 2015. British fashion designer Ted Baker said on March 4 its founder and Chief Executive Officer Ray Kelvin had resigned with immediate effect. Kelvin, who founded the business 32 years ago, took voluntary leave of absence from his CEO role on Dec. 7, 2018, days after the company said it was going to investigate allegations of misconduct related to his habit of hugging colleagues. An internal independent committee tasked law firm Herbert Smith Freehills to investigate the allegation and the company’s policies. Kelvin, who is the top shareholder at Ted Baker with a 35 percent stake, has denied allegations of misconduct. Kelvin said in a statement that he had decided to step away from Ted Baker so as to allow the group to focus on the business. He added he was taking time privately with his family “to consider what my next adventure will be". The company on Feb. 27 issued a profit warning on its 2018-19 results blaming volatile exchange rates, higher costs and a writedown on inventory. Shares in Ted Baker were up 4.5 percent to 19.78 pounds at 1148 GMT on March 4. The stock has lost more than a third over the last 12 months.